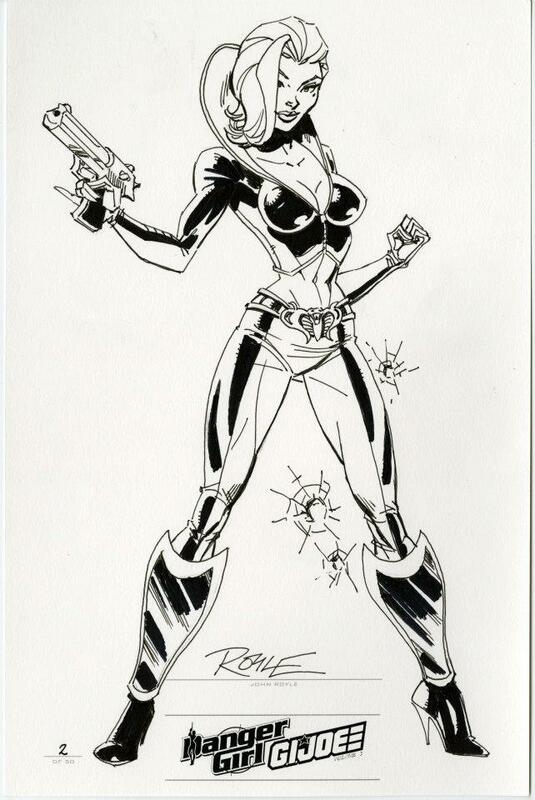 More Shocking IDW Comic News – Cobra Files Ending with #9! With the release of IDW’s December solicitations, it was revealed that Cobra Files, considered by many to be the best of the GI Joe books, will come to a sudden end. This makes two surprising and disappointing GI Joe comic announcements in quick succession. 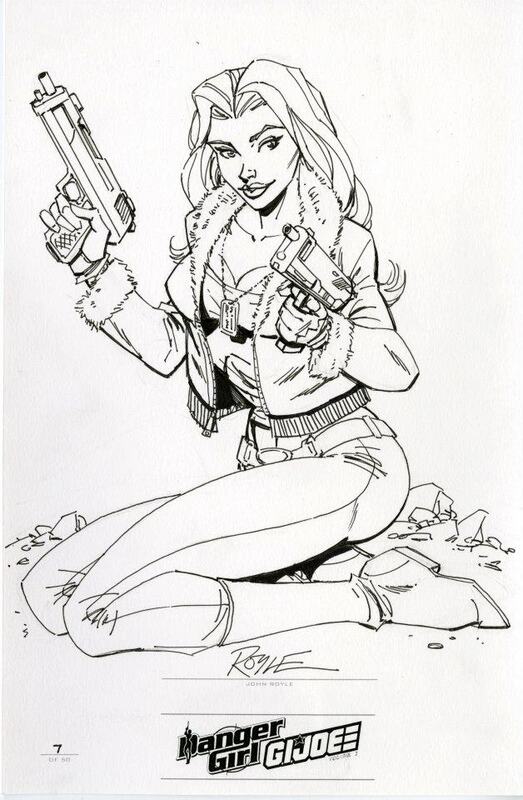 While a am a bit worried with the current state of Joe comics with the announced departures, I am happy to hear that Costa will be back writing Joe in the future. 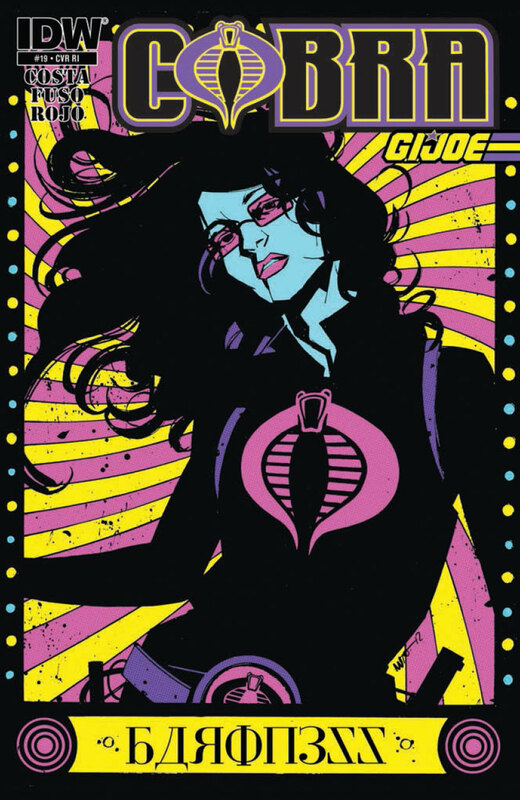 Categories: GI Joe News, IDW Comic Review, IDW Preview | Tags: Cobra, Comic, G.I. 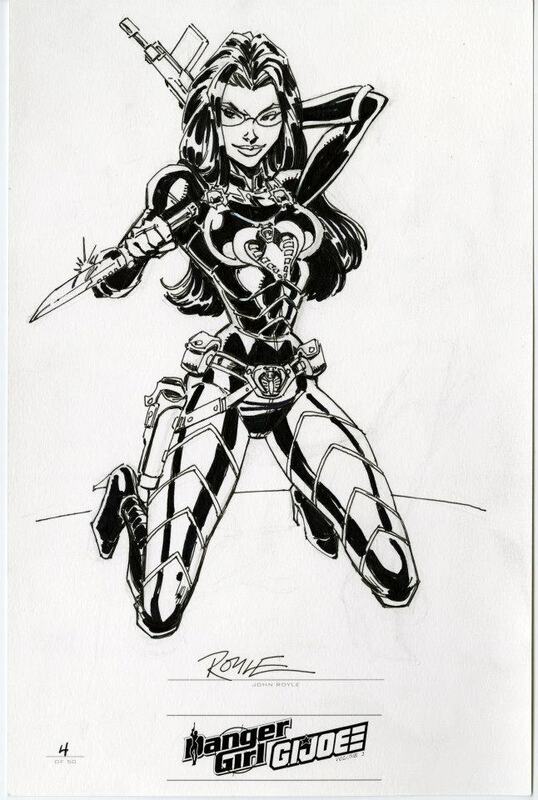 Joe, GI Joe, IDW, IDW Limited, IDW Publishing, Leaky Suit Brigade | Permalink. 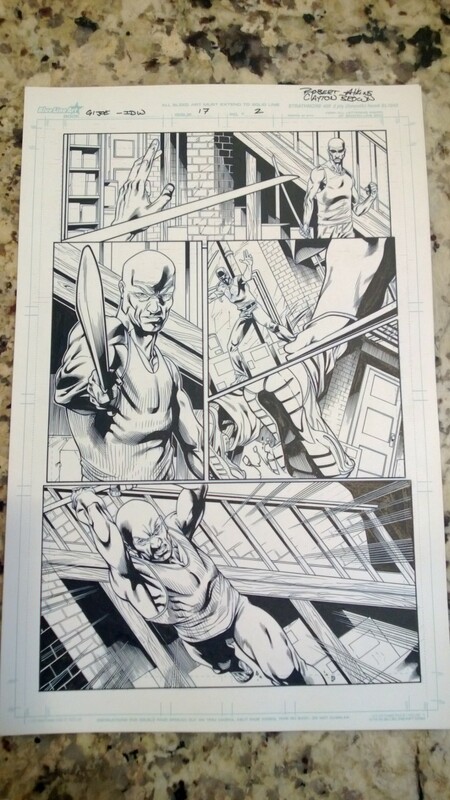 Original Comic Art – Inks !!! I picked these up a little bit ago, but never shared them until now. 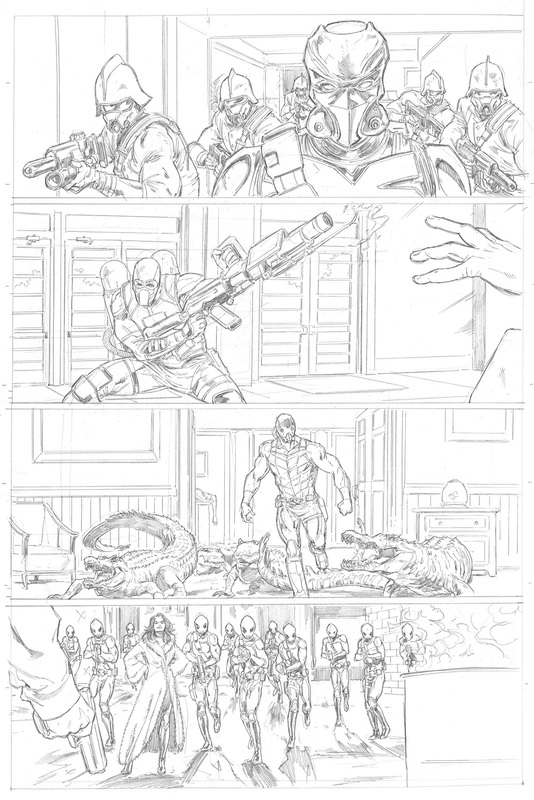 They are the original inks for several different issues of IDW GI Joe #1. 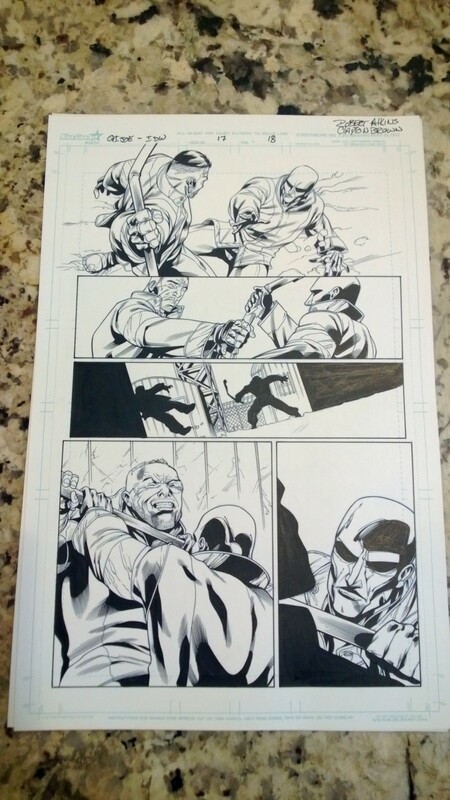 Some highlights include some of the first images of Krake, Destro killing some prisoner and the Hard Master (I think). Categories: IDW Comic Review, IDW Preview | Tags: Art, Cobra, Comic, comics, G.I. 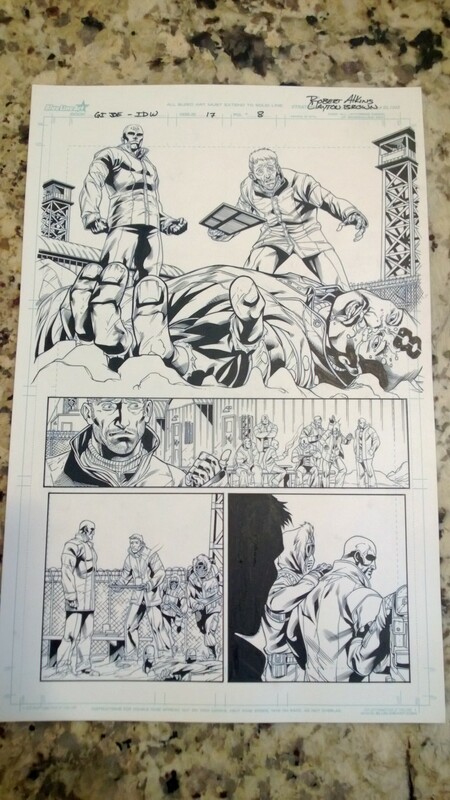 Joe, GI Joe, GI Joe Comic, IDW, IDW Limited, IDW Publishing, Original Art | Permalink. 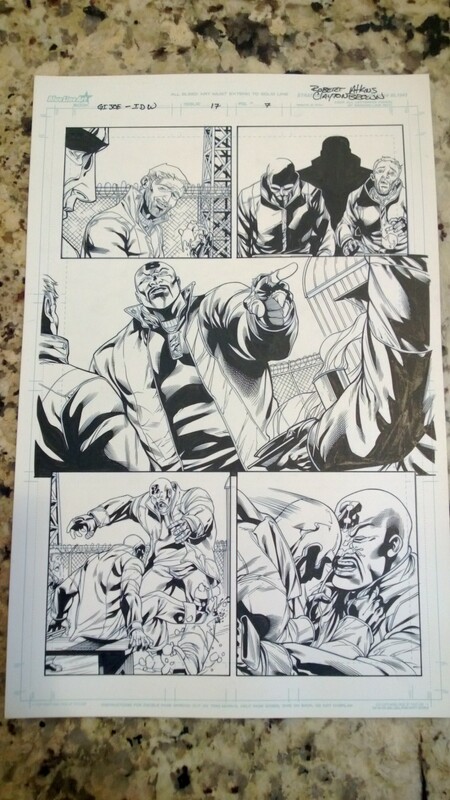 IDW GI Joe #2 Original Art! It is no secret that I am a fan of the IDW Joe comics. 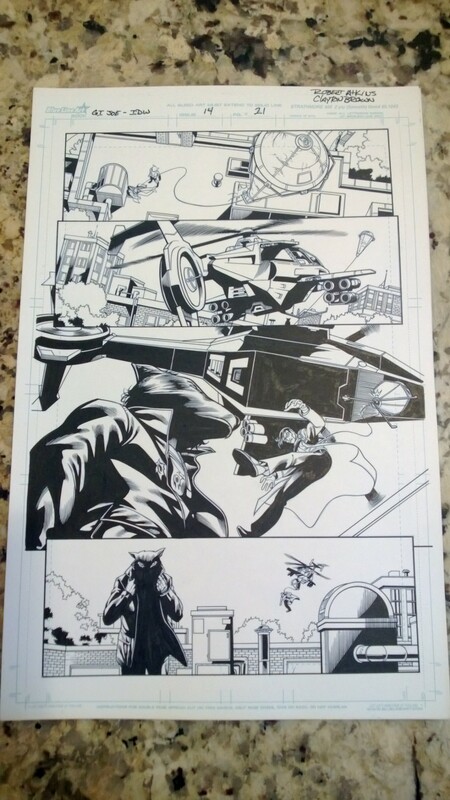 Recently I was able to score what I see as the iconic page from GI Joe Vol 3. 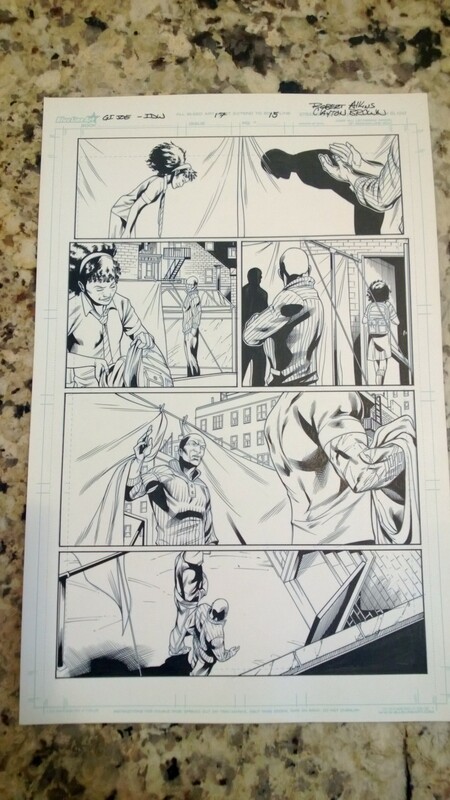 Yes, I know it is only through the second issue, but I think this page will have a lasting effect/image on the series. 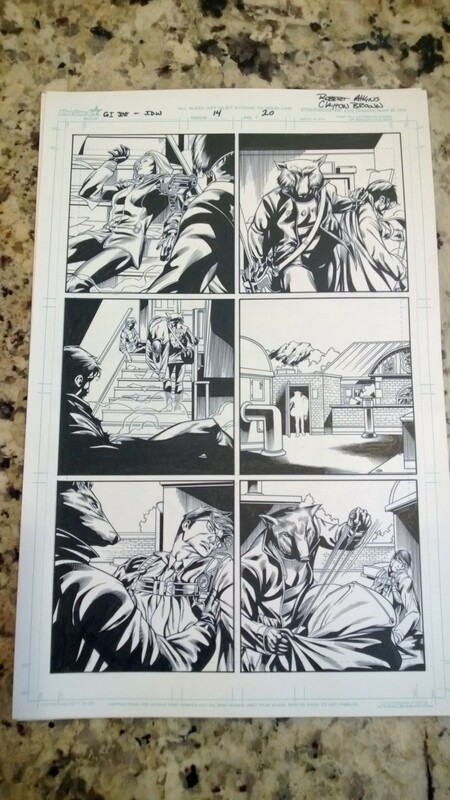 I acquired the original pencil drawing of GI Joe #2, page #2 with Darklon, Firefly, Croc Master, and the Baroness looking badass and taking over the small town. 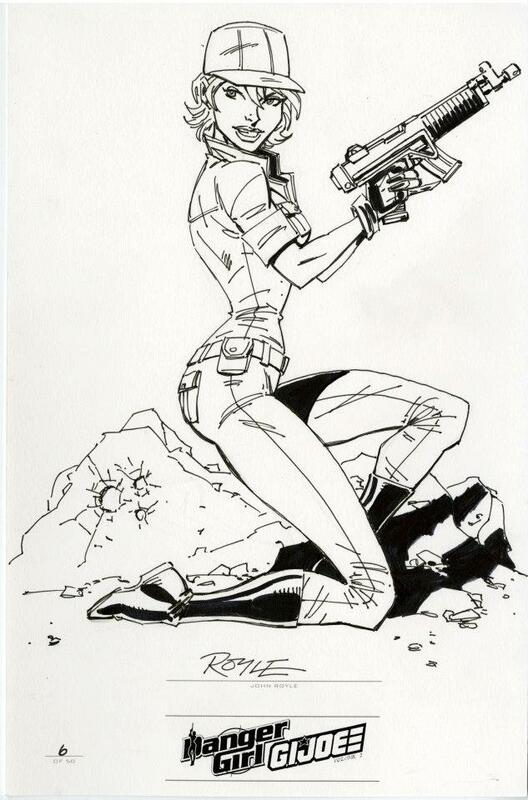 Categories: General Joe Stuff, IDW Comic Review, IDW Preview, New Joes | Tags: Art, Cobra, Comic, comics, G.I. 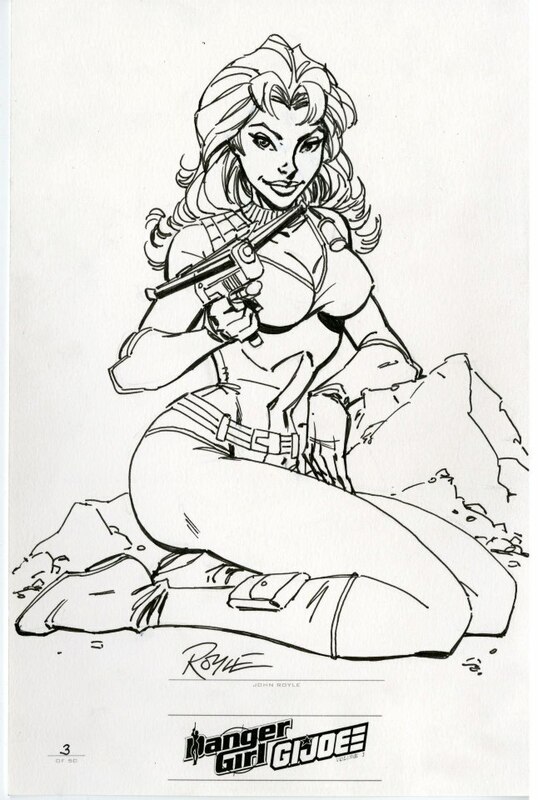 Joe, GI Joe, IDW, IDW Limited, IDW Publishing, Original Art | Permalink. Well I really liked not having to wait a month for the second issue! The story was a little slow, maybe a lot slow, it makes two in a row that are building and setting things up. So, in that respect, I like it. It gives a solid background and underpinning to the story. 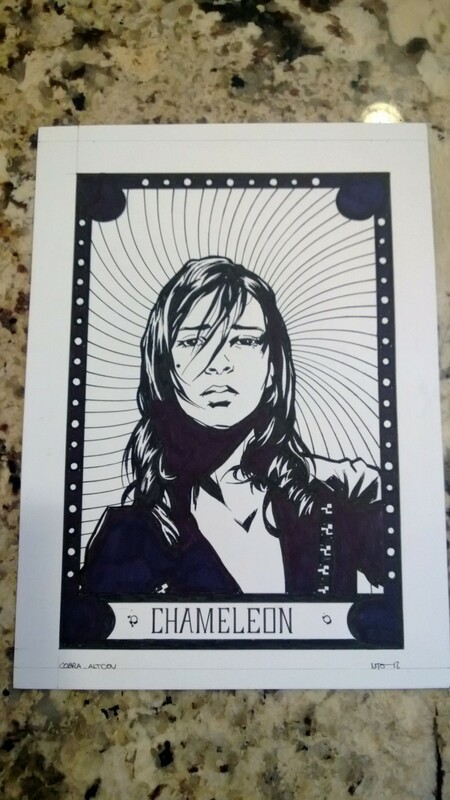 The art is solid. I love the retail incentive cover and cover B is my favorite regular cover. If the Special Missions books keep up the RI covers like this I will have to buy every single one. Without giving too much of the story away, the Joes reached the sunken ship first, followed closely by the Baroness, but they have not discovered each other yet. 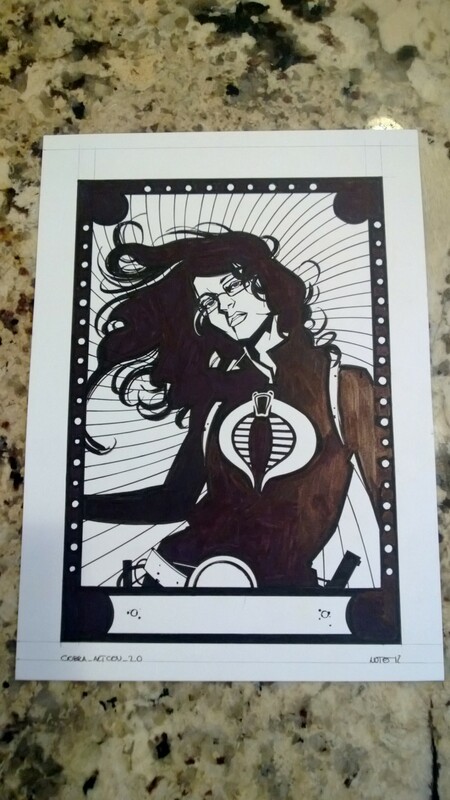 Serpentor also gets into the action, rescuing the children the Baroness kidnapped in exchange for information about what she was doing. It looks like #3 will be action packed, because at this point lots of things are coming to a head, should be exciting! Run out to your LCS and pick it up! Categories: IDW Comic Review | Tags: Cobra, Comic, comics, G.I. Joe, GI Joe, GI Joe Comics, IDW, IDW Comics, IDW Limited, IDW Publishing, Leaky Suit Brigade | Permalink.